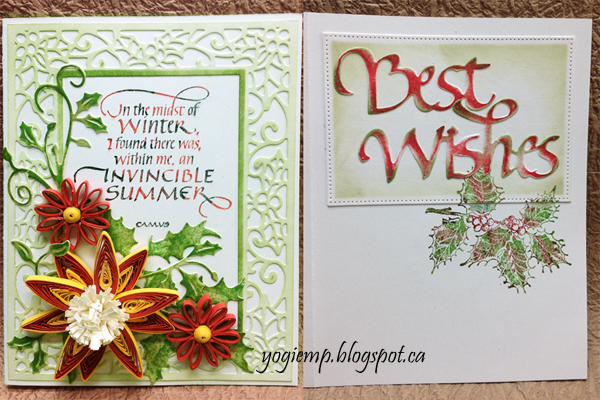 It was another productive day at quilling last week, but it's the 1st chance I've had to upload to my blog... 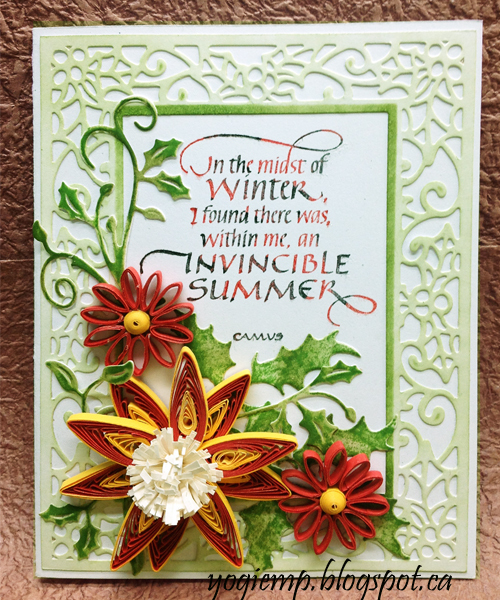 I love this quote from Quietfire Design "In the Midst of Winter..."
Also using one of my newest acquisitions from Sue Wilson "Poinsettia Mini Background" die set. Love it. 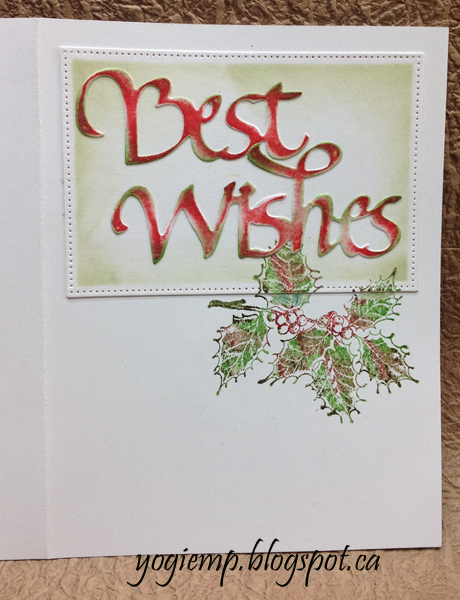 I have never done quilling; but I love the clean and detailed look it gives on a card...beautiful card. Thanks for sharing at Aud Sentiments. This is gorgeous!! Love the handmade flowers!! Thanks for joining us at Love To Scrap! Challenge Blog! Hope to see you again soon!! HUGS! What a beautiful card and lovely sentiment. Your quilled flowers are gorgeous. Thanks for joining us at Aud Sentiments. We are currently having a DT call and would love for you to join our team. Please check out the challenge blog for directions on how to apply. What a beautiful die cut background to go with your gorgeous flowers! Love your inking of the sentiment and holly leaves, too. You're really getting ahead on your Christmas cards! You have definitely embraced our challenge of using the sentiment as your focal image. This is clean, simple and just plain striking. Thank you so much for stopping by MMM and I do hope to see you back.